If you’re not familiar with this resource, you’re missing out. The Showbiz Cafe & Store–it’s just off of Fifth Avenue at 19 West 21st Street–is a cool place to hang out, have a cappuccino, and check out a serious collection of production, post and management software. 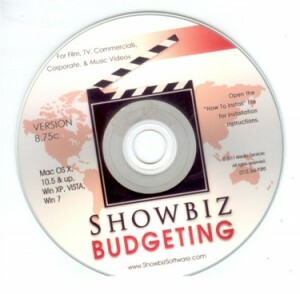 Even more to the point, you could attend Media Services free seminar this coming Tuesday, March 6th to learn about Showbiz Budgeting software. To be lead by Steve Bizenov, VP of Sales & Marketing at Media Services (the company that runs the storefront), you’ll have a chance to hear about Showbiz Budgeting software, one of the leading apps in the industry. The app enables “production accountants, production managers and independent producers” to create specialized budgets, whether you work in film, TV, or commercials, or just about any other sort of production including music videos, web series or corporate videos. According to Media Services, the creators of the software, their approach is a different; unlike simpler programs that you may have seen advertised, this app “actualizes” your budget as you go through each stage of a production. No surprises is the mantra: you can see exactly what you’ve spent and how it affects your overall budget. This is a software app long in development, used by a number of top productions. Built-in tools enable you to track purchase orders, petty cash envelopes, payroll and more. As I understand it, when production is complete, Showbiz Budgeting allows you to whip up reports you need to make your wrap package complete. In any case, it’s free, and you’ll have a chance to look over this cozy space designed for folks engaged in production and post. It’s a bit of an early call for some–it’s at 10am–but in the production world it’s always a good thing to look over your numbers before beginning the day. This link takes you to Eventbrite, where you can sign up for this free evening.